A gorgeous sterling silver whale tail charm hangs from a 16" shimmering Sterling Silver chain. A 2" extender can be added upon request. 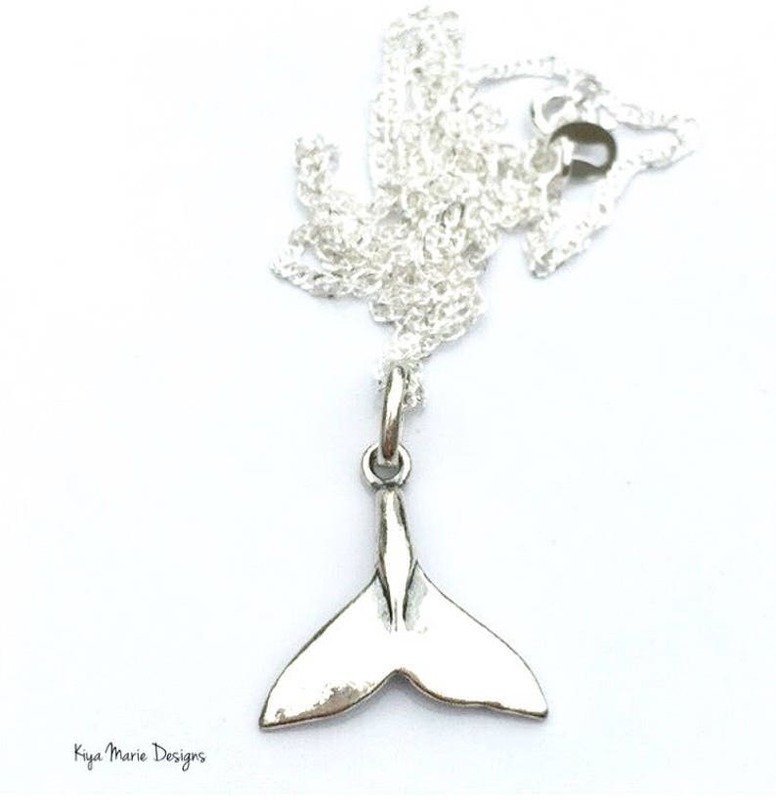 This nautical whale necklace will go with anything! Simple and cute.